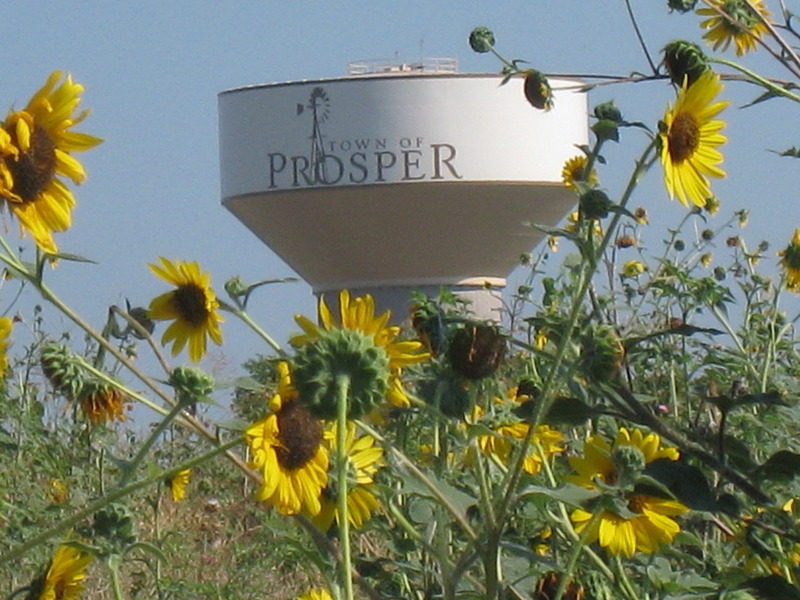 Prosper is a suburban town located in Collin and Denton counties in the state of Texas. The town is located in the Dallas- Fort Worth Metropolitan Area. As of the 2010 census the population was 9,432 residents, and as of the beginning of 2018 the estimated population was about 22,055 residents. This town is growing rapidly and is continuing to grow. If you like big cities, this is the town for you and your family! This beautiful town has many things to do while living in this area. There are many parks, athletic fields, pavilion areas that are available to rent out for a day or two for family activities, and they also offer youth sports for children! Prosper students are represented by Prosper Independent School District, they currently have seven different elementary campuses, two middle school campuses, and one high school campus. This year they are expecting to build two additional elementary campuses, in 2019 they are opening a third middle school, and in 2020 they are going to be opening a second-high school. Collin College is also a part of Prosper, it serves an annual enrollment of about 53,000 students and offers more than 100 degrees and certification programs. Also about seventeen miles south of Prosper is the University of Texas at Dallas. It offers top ranked science, engineering, and business programs. Today UTD has more than 27,600 students and offers a broad range of bachelor’s, master’s, and doctoral degree programs. If you're always running out of storage space for your clothes then perhaps it's time to upgrade to a walk-in closet, as featured in many of this locale's homes. The granite countertops found in some of this city's homes will be long lasting even for a busy family and will remain beautiful and elegant for years to come. Various homes in this place feature powder rooms, so even if you have a large family, you will not be hurting for space to get ready in the morning. Listing courtesy of Robert Yancey Camp. Listing courtesy of Kindle Realty.